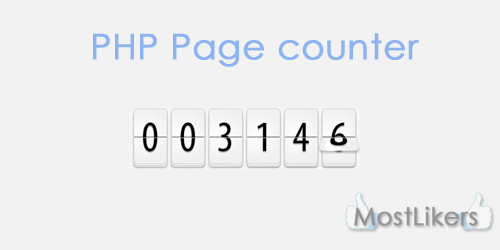 A hit counter or a page counter counts the number of people that visit your page. If you have created a new website you might be interested how many people are visiting. so try this simple method count how many people visit on your website. this coding make MySQL update query using in php. page count value will be increased. How to make it using text file...?? ?